Product code: 221 Categories: Sold Items, Sold Rings. Truly a stunning ring in all of its simplicity. 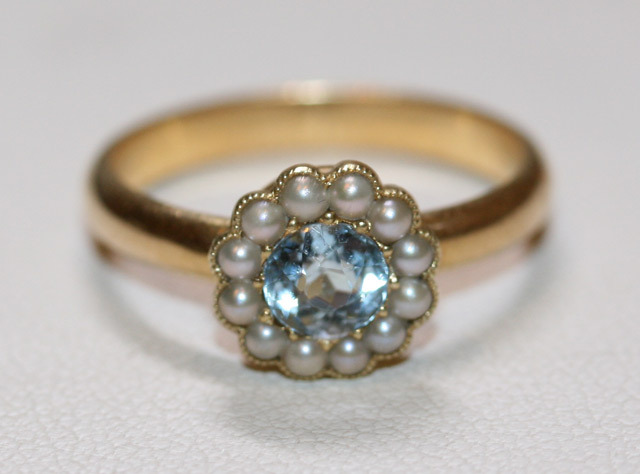 A lovely hand made Edwardian era – circa 1910, natural aquamarine ring, surrounded by 12 seed pearls. Cluster designed rings such as these have been popular through the ages, right up until now, and when looking at a ring such as this, it is easy to see why. 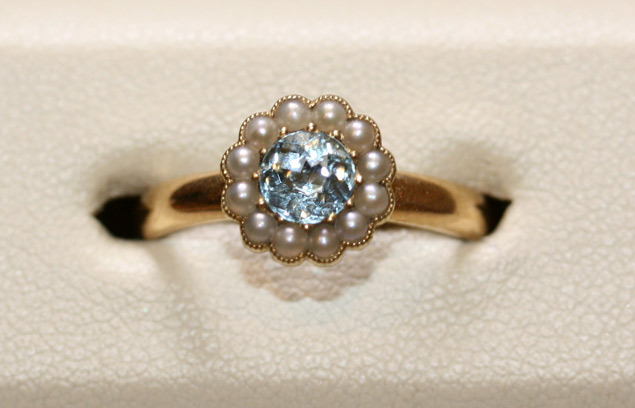 With such a perfect blue in the aquamarine, this ring is sure to delight and bring pleasure to the wearer.